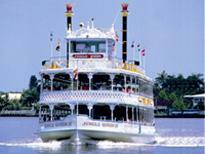 *The most in-depth Everglades Tour and the best Everglades Tour available. 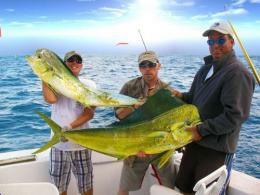 This Full-Day Everglades Day Safari is the best Everglades tour available from Fort Lauderdale and South Florida. This tour will bring you to explore all four eco-systems of the Florida Everglades which includes the Sawgrass Prairies, the Mangrove Estuaries, the Cypress Swamps, and the Pine Savannah. The tour's main focus is to see the native and exotic wildlife of the Everglades in their natural habitat and not in captivity. This includes numerous alligators, various birds, dolphin, turtles, and more. There are no other Everglades tours available that will take you as far and deep into the Everglades as this Full-Day Everglades Safari Tour. This Everglades Safari Tour will begin as soon as you are picked-up from your hotel. The tour guide will provide you with interesting facts of the Everglades and also a bird checklist to help you identify the various birds which you may see during the Everglades tour. Your first stop in the Everglades will be an exciting 45-minute airboat ride which will take you deep into the Sawgrass Prairies of the Everglades, also known as the "River of Grass". During the Airboat Ride, your expert guide will take you deep into the “River of Grass” and show you alligators, birds, and other wildlife. The guide will stop several times and allow time for pictures. Also during the tour, you will have the opportunity to take a nature walk through an eco-system of the Everglades known as the Cypress Swamps; where you can see Alligators in the wild. 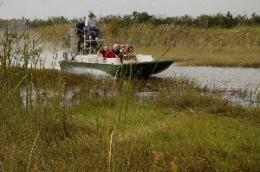 You will also enjoy a ride through the Pine Savannah of Everglades in the tour van with various stops during the tour. Halfway through the day, the tour will stop in Everglades City for a nice lunch at a full-service restaurant. After lunch, your tour guide will take you to the Mangrove Estuaries where you will enjoy a 90-minute sightseeing cruise through the beautiful Ten-Thousand Island region of the Everglades. 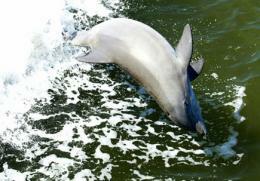 On the cruise you can see dolphin, various birds, and more wildlife. You will also learn interesting facts about the Mangrove Trees that are protected by federal law. The Everglades Day Safari tour is operated by a very remarkable group of naturalists will show you the unique eco-systems of the Florida Everglades. The Everglades Day Safari tour the best Everglades tour available because it brings you into and through the Everglades; and you will also witness wildlife in their natural habitat. The tour vehicle is an air-conditioned 15 passenger tour van. *menu options are subject to change. *Pick-up time may vary depending upon your pick-up location. Please contact us if you need assistance choosing a pick-up location. 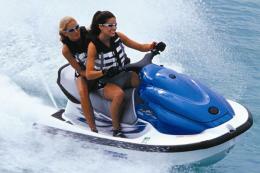 Reservations for the Everglades Safari Tour are required. Please book online.